Abstract: There is a real, serious impact threat, from small asteroids, and, much worse, long period comets. Yet our great leaders are not too interested, because they prefer the world population as they will it to be: ignorant, despondent and impotent. Cutting science budgets in the guise of austerity helps. So they are busy cutting: austerity for humanity, and anything that makes the honor of mankind, wealth for those who lead us towards oblivion. A world unwilling of solving problems to the point of being incapable to do so, is perfect for those who profit from the established order, and yearn for divinizing celebrities and more exploitative stagnation rather than real progress and empowerment of the commons. 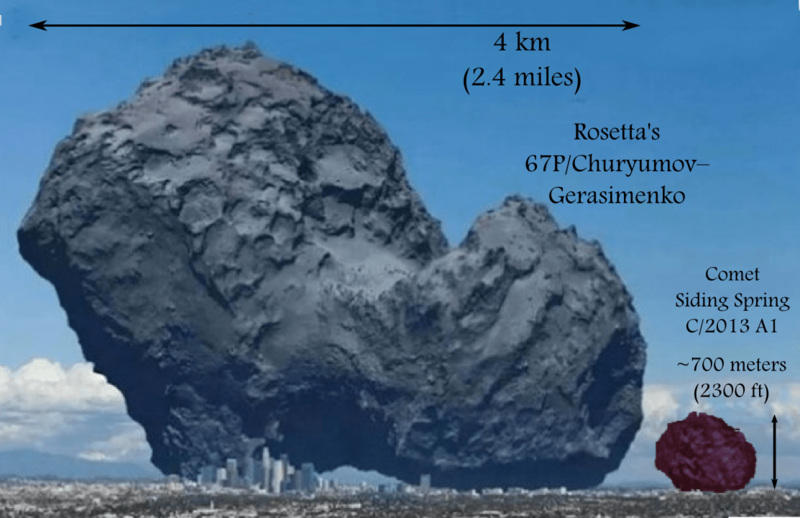 The comet problem is a case in point. It’s perfectly solvable. But it is left unsolved as a paradigm that unemployment is better than all and any alternative, including cosmic catastrophes. The ways of Pluto are subtle, and vicious. Don’t ask for whom austerity tolls, it tolls for thee, and any science, wisdom or knowledge you may want to acquire. Admire the celebrities: they are the best lives you will ever get. In less than four years, two nuclear explosion sized asteroid impacts were observed over continental plates. One was more than four times the power of the Hiroshima bomb (Sulawesi in Indonesia, 2009), the other was 33 times Hiroshima (Urals, 2013). So much for the notion that these things are rare and innocuous events. Just above land, I know of four explosions of city killers in 105 years. Only 1,500 people were hospitalized by the shock waves of the Ural meteor, because as luck had it, the meteor was on a grazing trajectory when it collided with the atmospheric wall. It streaked through the wall sideways for 32.5 seconds before experiencing three explosions. 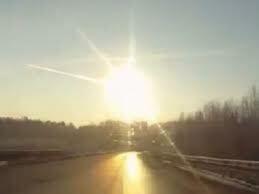 The first one, and strongest, happened 27 kilometers above the Urals, 60 kilometers south of the center of a city habitated by one million people. If the asteroid had been a minute late, on the same trajectory, Tokyo may have been hit. If the meteor had been 30 seconds ahead, on the same trajectory Moscow, moving at 30 kilometers per second, would have caught up with the meteor. In either case, the damage on the ground would have been considerable, and massively lethal. Why? Because the angles of entry would have been much sharper in either case than they were above the Urals. So the asteroid would have delivered its 500 kilotons, 33 times Hiroshima, much lower. Low enough for either capital to have been partly disintegrated. “Dead Hand”, also known as “Perimeter” , worked by detecting flashes and seismic waves, and then firing nuclear tipped rockets automatically. The Russians have been coy about whether the system is still in use. May be that is why Putin was so ashen faced when speaking about the Ural meteor. Putin may have been told of my little computation above: 30 seconds or so later, and the meteor may have released 500 kilotons above the Kremlin. The debate about space impactors has been deflected towards the wrong problem, the obviously silly red herring, the problem one should not worry about, the non dangerous problem. That’s indeed the case when an asteroid CAN be deflected. Deflection, per se, means one has decades to do it. Thus it is not an emergency, by definition. Why to assume celestial mechanics and happenstance will be that accommodating? Is the Solar System a restaurant where one makes reservations when one feels like it? Of course not. Thus asteroid deflection is the wrong problem. Asteroid deflection is a bit like worrying about being eaten by a shark while skiing out of bounds. What needs to be addressed is a different problem, impactor interception & destruction. Why so much talk about deflection, when annihilation of the offender should be the focus? Why so much denial? Why change the conversation from a clear and present danger, to talk about a red herring? The real danger is long period comets: they are huge, unpredictable, undetected, and the warning would come only with months to spare. So why don’t we talk about them? Is this blatant denial related to other difficulties we are experiencing, such as the Greater Depression, the Asphyxiation of the Biosphere with man-made greenhouse gases, the Waning of democracy, the Blossoming of Plutocracy? Yes to all. The refusal to solve the space impactor problem is a baby example of the mood that enables the rule of plutocracy rather than the rule of reason for all. So what are we waiting for? Well we are waiting for plutocracy to keep on impacting our world ever more deeply. That’s what the plutocrats want. They want to deeply impact civilization with the sheer glory of their rule. As I write this the threats of austerity cuts are already affecting the science budgets in the USA by more than 5% (from the looming “sequester”, which has already forced scientific agencies to implement thousands of cuts). In the European Union, scientific cuts are turning into a massacre. Indeed, in the European Union, the cuts to the scientific budgets are in excess of an unbelievable 13%. Another victory for Kanzler Merkel and the very wealthy heir, David Cameron! Instead of cutting science, why don’t the politicians put a 93% tax on multi-millionaires, to finance science and education? Putting a 93% tax on the wealthiest is what Republican president Eisenhower did to reimburse the World war Two debt. So why not? Why to throw the baby, but not the dirty bath? Answer: because the politicians would lose the friends that will make them so incredibly rich tomorrow. Politics would not be a lucrative career anymore. This is a point Beppe Grillo is making in Italy, and now he has 18% of the Italian Parliament to show for it. OK, Eisenhower taxed the wealthy when Lincoln’s party was really republican, instead of being thoroughly plutocratic, as it is now. In Eisenhower’s time, millions of citizens of the USA could go to the most advanced schools, for free. Including Medical School. Somebody will a normal job could feed a family and provides it with a roof without excessive debt (now a couple can barely do that with 2 jobs and excessive debt, as long as oil is not too expensive). The mood the careerists such as Cameron, Merkel and the so called Republicans in the USA, want to avoid absolutely, is the mood of solving the problems at hand, with the technology at hand. Indeed such a mood could impact hard plutocracy itself. Plutocracy is an even mightier threat for civilization than any comet. Any comet could be dispatched with a 200 Megatons thermonuclear bomb, should be act swiftly. In other words, disposing of a comet would be a technological project much easier to implement than getting rid of plutocracy. Why? Common people would understand that something four kilometers across at 40 kilometers per second would affect them adversely. Yet, common people have been hypnotized into believing that plutocracy is their best friend. It’s their new religion. They salivate when beautiful people show up on the screen. they live through them. They don’t feel like the lobsters they are, slowly cooked for dinner. Solving problems is a very bad habit for a society to have, when it wants plutocracy to rule. Because plutocracy itself is a problem. The worst chronic problem. So one may fear that plutocracy itself would be solved, by problem solvers… As it was under the Roman republic, for five centuries. Roman emperors, the “Princeps”, those “First men in Rome” who stole power from the republic, were fully aware of this. So they avoided solving problems scrupulously. One could make a curve of problems solved by the Roman state, and see that it goes down to basically zero once the fascist empire started to rule in full. A society that makes a habit of solving problems will solve excessive plutocracy first. because only the intelligence of the People is freed from celebrity cult, and starts to contemplate the universe at large. That is why one observes that highly innovative societies were also highly revolutionary socially, and cut down to size their own plutocracy. First. For example the golden age of Greece was preceded by massive, well, drastic, revolutions, starting with the draconian Draco himself in Athens (around 622 BCE) Sparta would later free Athens from tyranny). And of course Solon in Athens, probably inspired by Draco. Thus the Beatles were wrong when they sang hypocritically against revolution… (While racking the cash, and rubbing against the plutocratic order; Mc Carney married the Kodak heiress…) The revolutionary spirit infects all dimensions, once it’s allowed to grow in one of them. During World War Two, the USA functioned pretty much as an equalitarian republic. Old French revolutionaries, ancient republican Romans, 22 centuries ago, Athenians 25 centuries ago, would have recognized the spirit immediately: out of the many, one, liberty, equality, fraternity… And plenty of ideas. The US navy in the Pacific, or the scientists involved in the atomic bomb project were pretty much self governing bodies, guided by truth. Solving problems leads to an obsession with truth. Thus, if one wants to avoid the truth, one better stick to avoiding problems, and the solutions they bring. Thus the Roman emperors discouraged paradigm changing technology. As the mood of changing what could be changed could prove contagious, and thus threaten the order they ruled over, they astutely felt. In the case of the threat of a space impactor, the solution is obvious. It calls for maximal, but existing, technology. 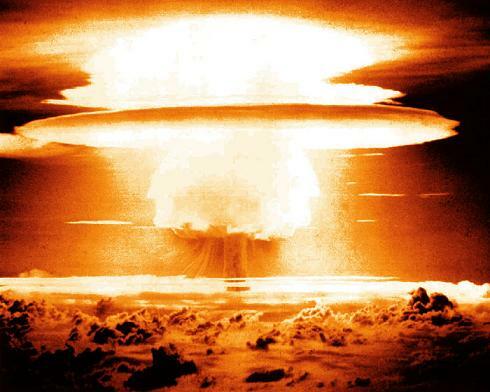 The interception of the offensive object with a thermonuclear bomb is only rocket science, not Quantum science. It’s nothing off the shelf. But to decide to do what can be done, and could do it efficiently, would recognize the preponderance of the metaprinciple that establishing an order of more or less vital priorities and taking care of high ranking priorities ought to rule over economic considerations. It is this (meta)psychological subtlety that holds back Spaceguard. After the Ural meteor’s strike, the Russian Prime Minister called for constructing Spaceguard. This would be intolerable to the world financiers and profiteers: if one used economic power for something useful, would not the world of finance supreme look irrelevant? Where would the spirit of enterprise stop? With finance’s heads on spikes? Better to stick to the usefully childish, such as the muscle bound Princess of the USA (see the note about the meaning of the word “Princess”) giving a “best movie” award to still another motion picture glorifying wars of the USA in the Middle of Eurasia. Such movies are much useful, to the plutocratic order. Hollywood seems to have a factory churning them out, and the Main Stream Media (“60 Minutes”, say) re-iterate the message. Such movies, with their partial view of history, insure that We The People of the USA learn what a continual pain the Middle Easterners have been directing towards the USA, ever since they have oil, and have to be continually encourage to fork it all over to Wall Street. Iran is particularly insensitive that way, as the USA worked hard changing the government there after the Iranian People voted for the wrong guy (Mossadegh) in the early 1950s. Then the USA installed by a real Shahanshah (“King of Kings”) with the help of its friend of the CIA, Khomeini. It’s good to be reminded of all this, and celebrate the “greatest country on Earth” (Shall we give it the title of Country of Countries?). So never mind comets, asteroids, H bombs and heady stuff. Celebrities is where it’s at. Muscle and glitter. Now Sandberg, the Facebook woman, before that the Google woman, and before that, for more than a decade, the Larry Summers/Financial derivatives woman, since he got to meet her as an undergraduate when he was president of plutocratic Harvard, is coming out with a book to teach women how to succeed. I guess, that’s done the old fashion way, by meeting the right guys and accumulating that way a “stellar resume“. They sleep, thus they rule, and they are even sleeping at the wheel. Those who rule know how to take care of what’s important in the universe: the awe that become them. Let the universe take heed. Note: Ms Obama is given the title of ‘First Lady’. Yet, as anybody who knows Latin will testify, this is exactly what “Princess” means! It’s wonderful to discover that aristocracy is as American as motherhood.